We&apos;re sure that as a creative you love notepads, pencils and everything else that&apos;s stationery-tastic. However, even if you&apos;re the biggest stationery nerd on the planet, a tablet with a stylus is a fantastic thing to buy and can be a real asset to your creative work. A tablet with a stylus is a hugely useful tool for getting your work done, and it&apos;s well worth looking into getting hold of one. What&apos;s best of all is that you absolutely do not need to spend a fortune on a tablet with a stylus. Whether you&apos;re looking to work with an iOS, Android, Mac or Windows operating system, there are plenty of options available for knock-down prices. We&apos;ve scoured the internet to suss out which are the best of the best, and present to you the best tablets with a stylus that money can buy right now, so that you can make the right decision for what you need. And if you&apos;re after a bargain, we&apos;ve included some bargain options too. 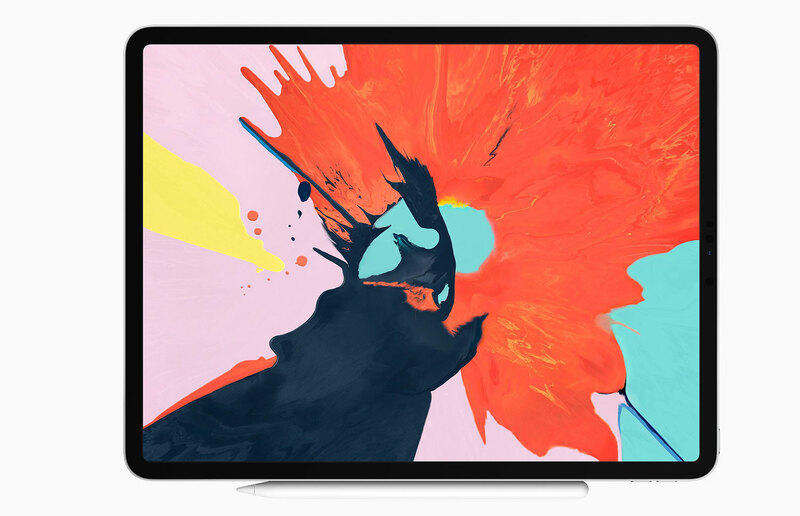 The iPad Pro has received a big makeover for 2018, with a new edge-to-edge liquid retina LCD display, an A12X Bionic chip (which can outperform Intel-based laptops) and a new version of the Apple Pencil that attaches to the side of the iPad magnetically, with wireless charging. The result? Our pick for the best tablet with a stylus on the market right now. The iPad Pro has dropped Apple’s Lightning connector for USB-C, meaning it now works with a range of peripherals, including external displays. With the 12.9-inch screen, this is one of the largest tablets on the market, and that means it’s a brilliant digital canvas for you to sketch out your ideas, using one of the brilliant drawing apps for the iPad in the App Store. So what&apos;s the downside? Well, this laptop-like performance means laptop-like prices. You won’t see much change from £1000 for the smallest 64GB storage, and you’re certain to want more. Add on the additional expense of the Pencil and this is the most expensive iPad ever made by some margin. 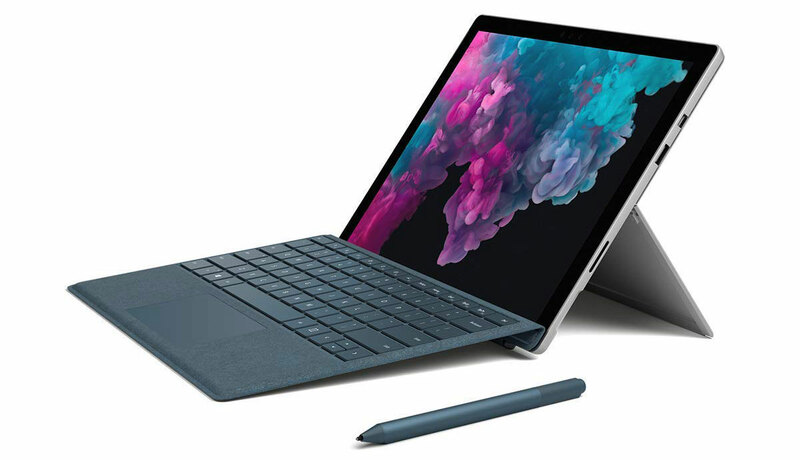 The 2018 Surface Pro is a small update over the Pro 2017 model, with a slightly better screen and battery life, but it remains our top choice for a Windows tablet. Unlike Android or iOS devices, you’re getting a tablet that will run full-fat desktop software – so think Creative Cloud apps such as Photoshop CC without any compromise on features or performance – and use it with Microsoft’s excellent Surface Pen stylus. In fact the Surface Pro has an Intel quad-core chip, of the same variety that you might find in a laptop. So you can expect it to sail swiftly through tricky filters and have no problem loading complex designs. And being a Windows PC at its core, it will have no problem connecting to any peripheral you could think of. That said, Microsoft hasn’t yet bestowed a faster USB 3.1 Gen 2 port on the Surface, a missed opportunity for 2018. If iOS leaves you cold, or you’re already heavily invested in Android software, then the Galaxy Tab S4 is a welcome update to Samsung’s tablet line, and brings in some great new features. It has an upgraded 10.5-inch screen with a 2560 x 1600 resolution and thinner bezels. A new 2.1 lockable mode uses the DeX software to mimic a PC interface when connected to Samsung’s Book Keyboard Cover, complete with resizable windows and a task bar. Being free from Apple’s grasp, there are some advantages to going with Android over iOS. The Galaxy Tab S4 bundles a Samsung S Pen with the device, and it&apos;ll set you back around $660/£600, making it much better value for money. And thank the heavens, you can expand the internal storage with SD cards. If you&apos;re primarily looking for a tablet with a stylus for drawing, consider investing in a dedicated drawing tablet. 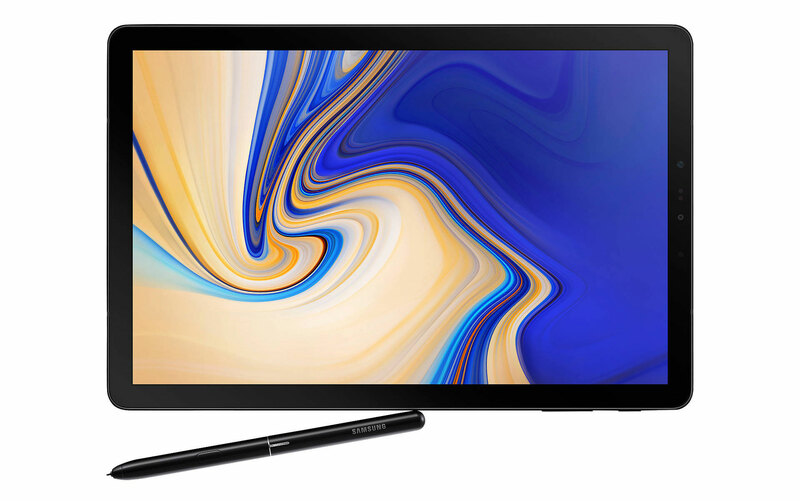 Our favourite is the Wacom Cintiq 22HD: its large dimensions (it&apos;s not really one for shoving in your bag too often) mean that you get a total of 50cm x 30cm of total drawing area – perfect if you want a more detailed design than most normal tablets allow you to execute. The super sensitive stylus won&apos;t hurt to this end, either – we can&apos;t think of another drawing tablet out there that will give you more accurate results. The integrated stand means that you can adjust the angle of the tablet to suit your preferred stance and the full HD display boasts over 16 million colours. 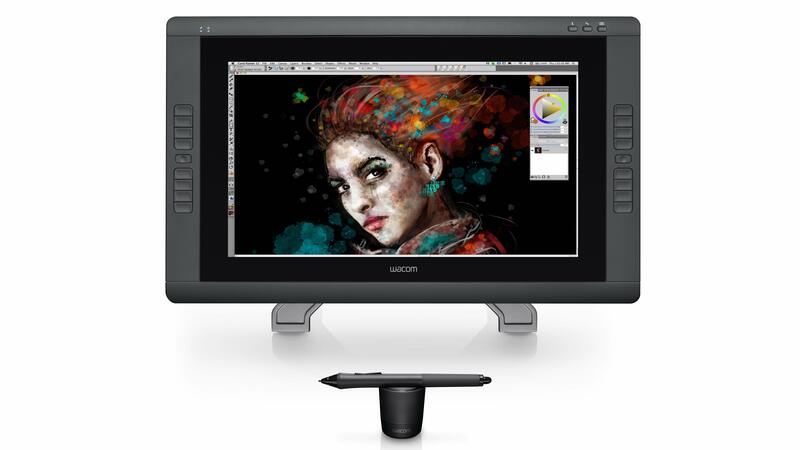 If you can afford it, the Wacom Cintiq 22HD could have a major impact on the quality of your work. We eyed the Lenovo Yoga Book with a combination of intrigue and suspicion when it was first announced. It&apos;s a kind of tablet-laptop hybrid with a digital, capacitive keyboard that doubles up as a handwriting or drawing surface. But the result is a tablet with a stylus that&apos;s well worth owning. The traditional surface is 10.1-inch 1,920 x 1,200 resolution screen, which again hits that magic number of 16.7 million colours. The second surface is that capacitive Halo Keyboard, which – despite the lack of digital keys – is accurate enough to take quick notes straight to your chosen word-processing app. Prefer the old-fashioned method? Then you can utilise the included Real Pen stylus instead and use the Halo surface as a digital notebook, with the added bonus of seeing your scribblings saved immediately into your onboard storage. 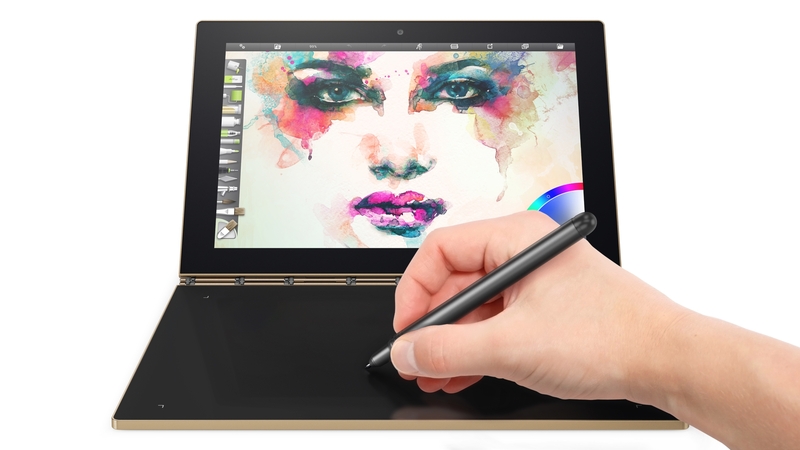 We know the Yoga Book won&apos;t be for everyone (the 180-degree fold back screen means it&apos;s much chunkier than most other traditional tablets), but Lenovo&apos;s unique proposition means its well worth considering if you can&apos;t decide between a laptop and a tablet. 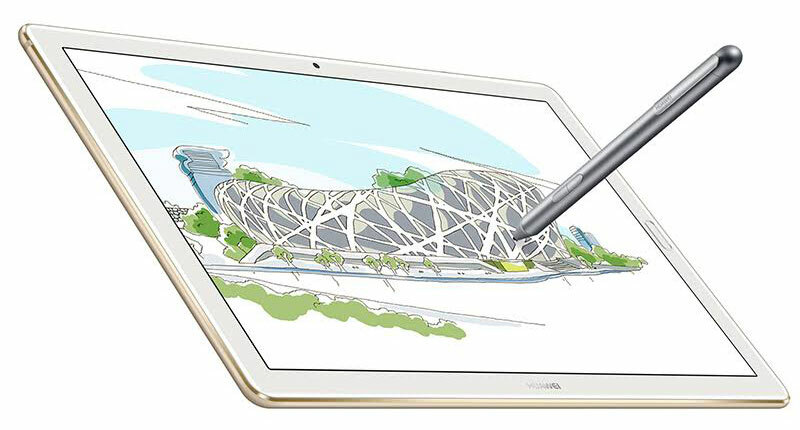 Huawei seems to have an army of tablets in its arsenal, ranging from the basic MediaPad M3 model, which is super-affordable and can do simple note taking, to this Pro model, with some real performance under the hood. This tablet still won&apos;t set you back anywhere nearly as much as the iOS or Windows tablets, and is a genuinely good option. Despite the relatively low price point, you still get an excellent screen and sufficient power for most tasks. The sleek, light aluminium frame is practical and won&apos;t embarrass you if you pull it out at a coffee shop. It&apos;s also worth noting that if you&apos;ve got little ones, Huawei recently unveiled a &apos;Lite&apos; version that&apos;s lower-specced, (slightly) lower-priced and designed for younger users. You can head over to TechRadar to read a hands-on review of the Lite tablet – while it&apos;s a nice addition to the range, the kid-friendly focus means the M5 Pro is very much still the better buy for creatives.